MOHFW Secretary, Mr. Md. Sirazul Islam delivered the keynote address. From January 22-26, the USAID-funded HFG project co-organized a Bangladesh-focused flagship course in Savar, Bangladesh, to enhance the capacity of stakeholders to analyze health policy and health system performance issues, in the context of universal health coverage (UHC). The HFG project partnered with the Health Economics Unit of the Ministry of Health and Family Welfare (MOHFW), the World Health Organization (WHO), and the World Bank to offer the course. In addition, HFG’s regional partner, James P. Grant School of Public Health (JPGSPH), BRAC University supported the Bangladesh focus for the course, in addition to being the course’s secretariat. The course is part of a USAID-supported effort in Bangladesh to raise national awareness of UHC through various forms of communication. 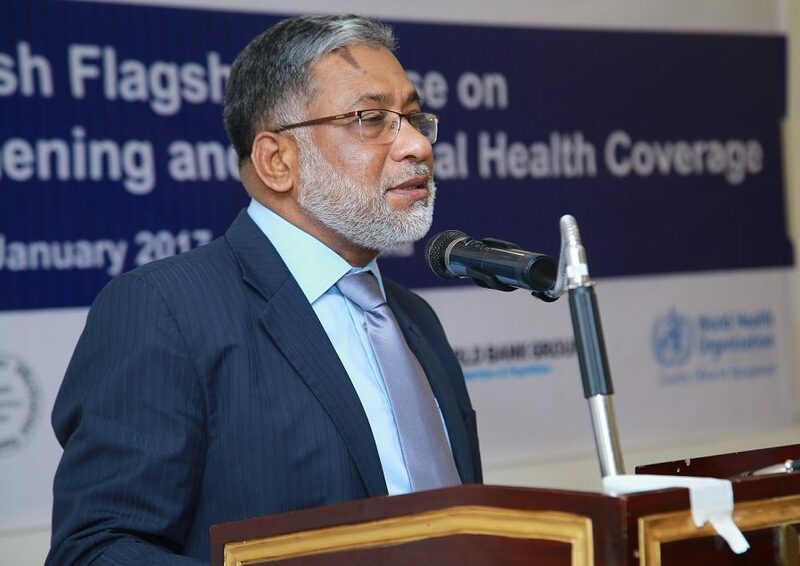 The activity goal is to develop a critical mass of professionals who can carry forward the UHC agenda in Bangladesh. Over 40 participants from multiple government agencies, WHO, USAID implementing partners, educational institutes, and national NGOs attended the flagship course. In addition to the Flagship Courses, HFG is working with JPGSPH to support orientation sessions, short courses and policy dialogues at the national level and will be taking the UHC message to other divisions and subdivisions in Bangladesh during the coming year.